FlorAssist Mood contains probiotic strains which promote healthy signalling between the digestive tract and brain, may help reduce stress, improve mood, and promote relaxation. Recent research has revealed the connection between digestive health and psychological well being.1 The digestive system sends and receives signals to and from the nervous system, meaning that a problem with either can lead to problems occurring in the other. 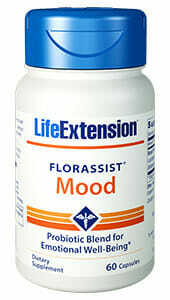 Life Extension has created FlorAssist Mood to utilize the digestive system’s role in promoting mental health. Our mental well being is effected by more than just our thoughts. The chemicals and receptors in the brain play a part in what we feel and when we feel it. When the wrong signals are sent or not enough of a chemical is produced it leads to chronic psychological problems. These range from negative moods to anxiety to depression and can occur alone or together depending on the person.2 Most supplements supporting stress and mood focus on the brain and chemicals but do not address the digestive problems that can cause the brain to not perform at its best. FlorAssist Mood replenishes the healthy bacteria in the gut, particularly those that help with proper neurological signalling and function. The probiotics in this supplement populate the digestive tract and reduce the ability for unhealthy bacteria strains to overgrow. 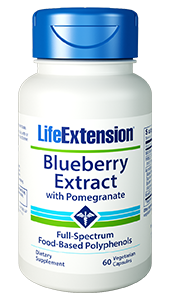 Just two capsules daily naturally promote relaxation and better moods. 1. Cell. 2015 Sep 24;163:258. 2. Gut Microbes. 2011 Jul-Aug;2(4):256-61. 3. Br J Nutr. 2011 Mar;105(5):755-64.